Although already complicated enough, when mixed with the breakdown of a long term relationship, serious estate planning issues can, and often do arise. When you separate from a long-term partner or spouse you will most likely need to change the way your estate is to be administered and distributed. However if you do not take steps to update the relevant documents that will govern your estate after your death, your ex-partner or spouse may still benefit from your estate, contrary to your final wishes and intentions. As leading Brisbane Family and Divorce Lawyers, and the Premier North Lakes Family and Divorce Lawyers, we know what you need to do. Depending on which of these ways a property is owned, serious implications for recently separated couples can arise as to how the property is dealt with if one of the parties passes away before post-separation arrangements have been put in place. Usually, due to the nature of long term relationships and the levels of trust involved, couples are most likely to own property together as Joint Tenants rather than as Tenants in Common. The effect of owning property as Joint Tenants is that if one party dies, the property automatically passes to the survivor, regardless of the terms of any Will. This automatic process is often referred to as the ‘right of survivorship’. When parties separate it is recommended that the Joint Tenancy is severed, so that if one party dies their share in the property doesn’t pass automatically to the now ex-partner. Subject to giving your ex-partner or spouse notice of your intention to sever a Joint Tenancy, there is no requirement for you to gain their consent to effect the severance. This is particularly helpful where difficult and uncooperative ex-partners or spouses are involved. Where you wish to terminate the right of survivorship to your ex-partner or spouse while still retaining your interest in a property, several important steps must be followed. This will include, but is not necessarily limited to, drafting the necessary transfer documents, giving notice to affected parties (including any mortgagee banks) of the severance, and attending to lodgement and registration of the transfer documents. Once you have decided to sever a Joint Tenancy arrangement, we can assist you in preparing and submitting the necessary documentation that will need to be lodged with the Queensland Government’s Office of State Revenue and Department of Natural Resources and Mines. Alternatively, property can be held as a Tenancy in Common in specified shares (e.g. one person owns 70% and the other owns 30%). This is less common with couples, but more often occurs with co-investors, or family members who are co-owners of a property. Under a Tenancy in Common arrangement, if one of the joint owners of a property dies, the deceased’s share of the property passes according to the terms of their Will rather than to another owner of the property. In situations of separation it’s crucial that a new will be done so as to ensure that any interests in property pass to the person or persons you want, rather than to an ex-partner. If you are going through a separation or have recently separated from a long term partner or spouse, it is important that you consider your existing Will and Power of Attorney arrangements. Where you have reciprocal Power of Attorney arrangements with an ex-partner or spouse, it is important that you seek the advice of a family lawyer to revoke your Power of Attorney, which would otherwise still be in place. If you pass away before your ex-partner or spouse, and have not finalised your property division (or at least commenced court proceedings), then your assets both real and personal will be distributed in accordance with either the terms of your last valid Will, or if you do not have a Will, then under the intestacy rules of the Succession Act (Qld). In either event, your spouse could receive a significant share of your estate even though your intention may have changed since your separation. We therefore strongly recommend that you act quickly to ensure that a new Will is prepared to reflect your post-separation intentions in relation to the administration and distribution of your estate. Ensuring that your Will and Power of Attorney documents are updated after separation is particularly important for married couples. Even where a married couple have been separated for several years, if divorce arrangements have not been finalised and one party passes away, the other party can still claim the entire estate of their deceased ex-partner, despite this almost always being contrary to the final wishes and intentions of the deceased. If you were to pass away during the separation process without making the appropriate changes to your Will and Power of Attorney, your otherwise intended beneficiaries could still seek court orders to prevent your entire estate going to an ex-partner or spouse, however this can be a costly and lengthy process. Under existing Power of Attorney arrangements your ex-partner or spouse may still have the authority to make decisions and act on your behalf in respect of various health, financial, and even personal matters. We strongly recommend that if a Power of Attorney has been made by you in favour of your ex-partner or spouse, you arrange for its formal revocation immediately. In the event that your ex-partner or spouse exercises powers that are not in your best interests then there are remedies available to you, however these are both slow and costly to enforce. Upon separation, you can revoke the appointment of your ex-partner or spouse’s appointment as your attorney by completing a written revocation form. 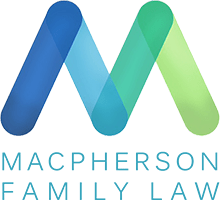 Importantly, upon completing the revocation form you must ensure you make all reasonable attempts to inform your ex-partner or spouse of the revocation. If you fail to do this, they will still be able to legally make decisions on your behalf. If the Power of Attorney is registered under the Land Titles Act (Qld), you must also arrange for it to be de-registered. Once you have arranged for the revocation of an existing Power of Attorney, we would advise that you immediately thereafter execute a new Enduring Power of Attorney in favour of a person of your choice, such as a close family member who you trust. The effect of this is, in the event that you become incapacitated (for example, as a result of an accident), a person of your choice (rather than a semi-government body such as the Adult Guardian or Public Trustee) can administer your financial affairs and health needs. Naturally, a close family member is in a much better position than these government bodies to make these important decisions on your behalf. Upon separation it is vital that you check with any relevant insurance companies or brokers as to whether you have nominated your spouse as a beneficiary under any current insurance policy in your name. If so, you will need to formally notify the relevant insurer/s of any changes that you wish to make to the policy. If you have an existing life insurance policy it is likely that you will have nominated a beneficiary to receive any life insurance proceeds in the event of your death. The effect of an unchanged beneficiary nomination upon your death is that all life insurance proceeds would bypass your estate and go directly to the nominated beneficiary, who may still be your ex-spouse. In addition to contacting any life insurance policy providers you may have, it is also important that you contact your current superannuation fund and any previous super funds to change any specific beneficiary or binding nomination in the event of your death. Without this, your superannuation benefits may flow to your ex-spouse, which may no longer be your intention. Often superannuation funds also provide a level of life insurance or disability insurance as part of your entitlements under the fund. We suggest that you discuss with your super fund whether a change to any binding nomination would be appropriate to ensure the Trustee distribute any superannuation benefit in accordance with your updated situation post-separation. Want further advice on estate planning? Don’t hesitate to contact us, either by calling or completing an enquiry form.